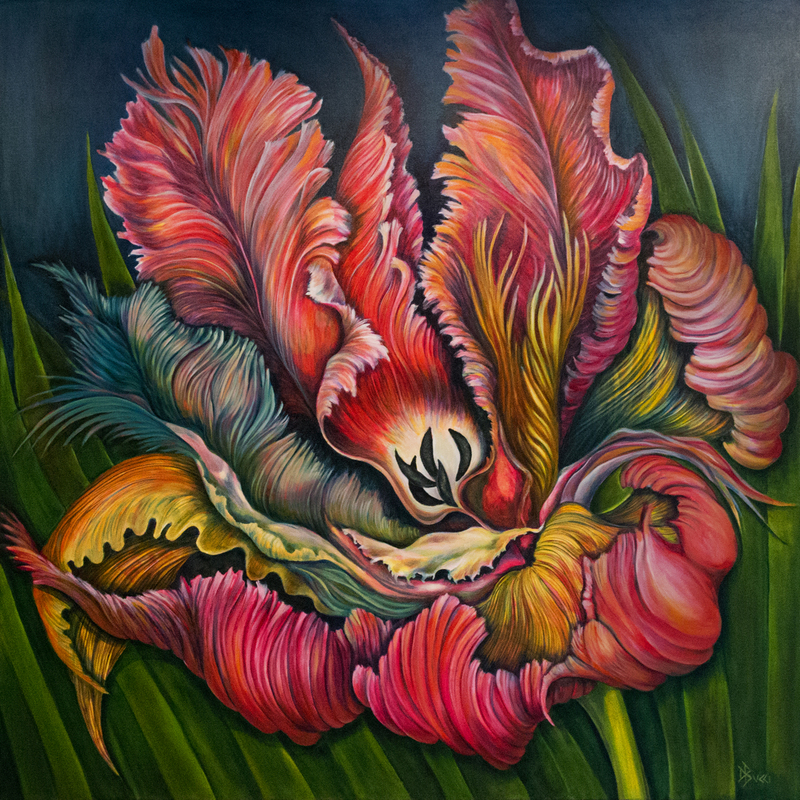 Deb's thoughts: Continuing with the tulip series, the goal is to merge explosive color with magnetic composition to pull the viewer in! Igniting the visual flow with rolling, almost liquid like movement comes from contrasting the extensive color palette. The other intention was to weave in turquoise to magnify selective twists and build subtlety with softened layers. This original oil painting on stretched canvas is big at 48"x48". The sides are painted so no framing is needed. Artwork ships with museum quality varnish and ships ready to hang.